It's mid-afternoon on a Saturday in Grenoble, and the weather is beautiful. This being Grenoble, there are endless possibilities to bike, run or hike. I, however, am sitting inside. Relaxing. Lounging. I don't do this very often, and I'm really not that comfortable with it! Sometimes a little rest is necessary. Last weekend I went home for a (beautiful) wedding in Norway. I was glad to go home, but it was a weekend of lots of travelling and little sleep. No wonder I woke up Tuesday morning with a fever. I've been feeling under the weather all week and haven't been working or working out very much. So basically I'm feeling a bit depressed. I've never been to the northern most part of Norway despite having lived there for 10 years, so I really excited to see what there is to see. And, as usual, to ride my bike as much as possible. I hope to be able to post some blog posts during the trip, so watch the blog to see how we are faring on our 1200 km journey. The week before, I'll be on Jostedalsbreen learning more about how not to fall into crevasses. Next time me and Dad are here I'll be better prepared to cross the glacier! I also have to continue getting ready for the marathon I've signed up for in September. I've been running a few races, although I didn't do the one I had planned to run today. Hopefully the 42 km of mountainous terrain will fly by. Although the way the weather usually is in September in Norway, it could potentially pretty awful. Finally, the Tour de France is happening, and they are coming to my area! I'm headed over to Mont Ventoux this evening to see the stage tomorrow. Hopefully I'll get some got pictures of men in Lyrca with their veins pulsing with EPO battling there way up the epic mountain pass. 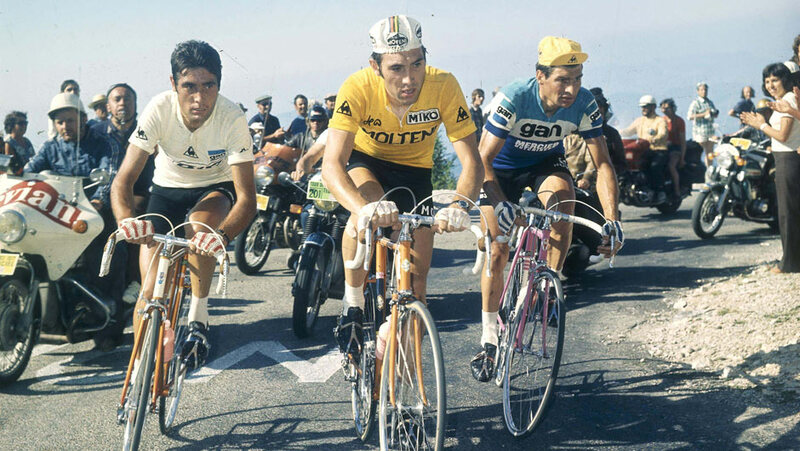 Ventoux being scaled back in the day. So there are impending adventures, and this is the light in the end of my summer cold tunnel!